Alan Greenspan dismissed as a “collectivist” myth the idea that businessmen, left to their own devices, “would attempt to sell unsafe food and drugs, fraudulent securities, and shoddy buildings.” On the contrary, he declared, “it is in the self-interest of every businessman to have a reputation for honest dealings and a quality product.” Greenspan was proven wrong. Cancer is a huge business and we do find pharmaceutical companies, medical and health officials, doctors and hospitals attempting to sell us drugs and hospital procedures that are dangerous and ineffective. There is no shortage of hard evidence that shows how big pharmaceutical companies hide the dangers of drugs, never publishing results we have the right to know. The matter of unpublished research is a serious one. When doctors make mistakes people die and the withholding of information leads us to make mistakes. When you read that FDA regulators said Glaxo hasn’t adequately alerted physicians to Tykerb’s risks, including reduced pumping action of the heart’s lower left chamber you are reading about a common tendency in orthodox allopathic medicine. Your doctor will almost always understate the risks and dangers of the drugs, tests, radiation and surgery. And just as these same regulators also cited Glaxo for exaggerating the effectiveness of their drug Tykerb, your doctor will also exaggerate the effectiveness of what he is going to suggest to you. Much of what we find in orthodox oncology is fraudulent medical science leading to shoddy medical practice. Instead of honest open dealings many oncologists are impossible to communicate with and this arrogance makes it very difficult to think straight and decide on reasonable treatment. Actually we are the most conditioned, programmed beings the world has ever known and believe just about anything fed to us through the media, especially in the area of medicine. There are people who know this and pray upon our vulnerabilities. Our thoughts and attitudes have been shaped through many years of continuous propaganda, molded by people who do not care for anything but money and power. Our ideas about health and medicine have been implanted in the public consciousness by thousands of media clips each year. Beware and proceed with care. Who you trust is going to be paramount to the outcome of your cancer. A mistake with trust at this exact moment in your life could cost you your life. Medical and pharmaceutical terrorism fits in a very specific category of terrorism described as “scientific terrorism.” We all understand that if a terrorist pulls a gun on innocent people and shoots them, or blows himself up in a crowded area and takes innocent lives, then he has clearly committed a terrorist act. Scientific terrorists do not use guns or bombs but instead use diplomas, impressive titles, official positions and medical organizations to drive stakes into our hearts. 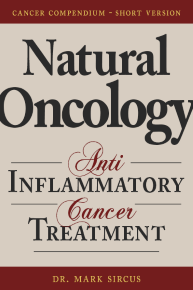 Modern oncologists are trained agents of the pharmaceutical giants. When it comes to the trust issue one should never forget who built and ran the Auschwitz concentration camp. So great did I.G. Farben (then the greatest pharmaceutical firm in the world) regard the postwar potential of the Auschwitz project that it decided to make an unusual gamble on its future. Rather than let the German government finance the building of the installations, the I.G. directors voted to put up the funds to make I.G. Auschwitz a privately owned I.G. enterprise and to assume the entire risk and thus of course the entire responsibility. At the end of WWII the allies split up IG Farben into companies that are now the top pharmaceutical concerns on earth among them Bayer, Hoescht, BASF, the Agfa-Gevaert Group and Cassella AG. Many of Wall Streets favorite pharmaceutical/chemical companies behind the proliferation of genetically-altered foods, transgenic animals, human cloning, dangerous psychiatric drugs, deadly vaccines and pesticides -such as Aventis- are subsidiaries of these same companies. It is impossible to understand the politics of medicine and the history of the war on cancer without acknowledging the pharmaceutical companies historic tendencies to treat people like cattle. Most people today resent any mention of the Nazi horrors and who financed and administrated them for they have made a new religion out of worshipping these same companies and their products. Our worship of orthodox medicine, of vaccines and cancer treatments is in reality the worship of the Fourth Reich. Of the 24 directors of IG Farben indicted in the so-called IG Farben Trial (1947-1948) before a U.S. military tribunal at the subsequent Nuremberg Trials, 13 were sentenced to prison terms between one and eight years. Most were free and back in the board rooms by 1952 becoming leaders of the post-war companies that split off from IG Farben.. These medical monsters who thought nothing of the brutal torturing and killing of millions of men, women and children are the same people we have been trusting with our and our loved ones lives. Anyone who believes that these directors had a change of heart and reformed their ways will receive their treatments from companies and doctors who are card carrying members of the orthodox medical establishment. They are in an incestuous relationship with the very profitable pharmaceutical industry. Orthodox allopathic medicine and the entire field of oncology are married to the worst elements of modern history. One has to understand what one is trusting when walking into an oncologist’s office of their own free will. The unfortunates in Europe had to be herded into the death camps at gun point but now people walk into hospitals of their own free will and receive tests and treatments that are brutally toxic. In reality orthodox oncology invites people into a medical concentration camp where men, women and children are forced to bear cruel lethal treatments. Cancer patients are routinely poisoned on a massive scale with chemotherapy; they are exposed to massive amounts of radiation, to death rays, both of which are an invitation to premature death. Radiation is the death principle and scientists recognize that even in very small amounts all forms of artificially created radiation increase the likelihood of cancer. 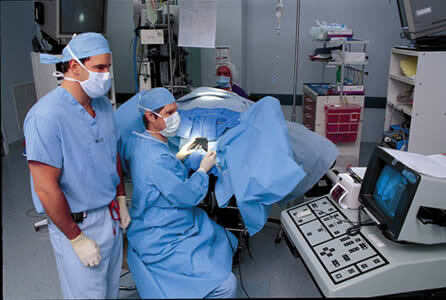 Patients are also put to the knife and the cancer is cut out even though surgery increases the chances of the cancer spreading to other parts of the body. All in all oncologists use treatments that cause cancer to treat cancer and this is the summation of their medical intelligence. Medical truth is systematically ridiculed by the medical establishment so they can continue to get away with murder. Orthodox oncologists are in the business of death, medical henchmen trained to kill people in a very particular way. We have advanced greatly in a negative sense since the days of Hitler’s concentration camps. Today people trust and embrace their killers willingly and that’s just how the story goes. It is the story of modern medicine that harms more then it helps. For example, evidence shows that the drug makers Merck and Schering-Plough have conducted several studies of their popular cholesterol medicine Zetia that raise questions about its risks to the liver, but the companies have never published those results. Partial results of the studies, alluded to in documents on the Food and Drug Administration’s Web site, raise questions about whether Zetia can cause liver damage when used long term with other cholesterol drugs called statins. Learn Dr Sircus protocol including dosages, methods, side effects and contra-indications. 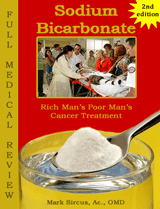 This bundle includes the Sodium Bicarbonate and Natural Oncology eBooks.